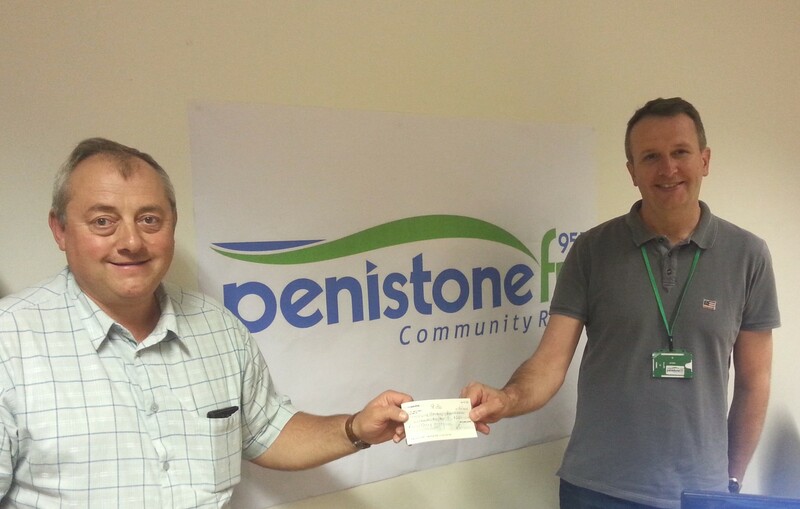 Keith Barna presented Penistone FM Station Director Martin Sugden with a cheque for £280 raised from the sale of limited edition “Soul Therapy” enamel badges. Keith told Martin that he could not have done it without the support of soul fans up and down the country and his little helpers Shirley Savage, Dawn Adams and Barry Curtis of the Fans of Radio Penistone Northern Soul Facebook page. Adding that while selling the enamel badges there were a lot of requests for cloth badges. A limited number of these have now been made and are now on sale priced at £4 each. Orders can be placed through messaging Shirley on the Fans of Radio Penistone Northern Soul Show page. Hurry they are selling fast.